finding myself, lost inside desire. I feel, it’s for the best. I’ll get you there, or reverse. or me out of you. This entry was posted in Recent Posts and tagged Art, Audrey Dawn, Confidence, Intuition, Life, Love, Music, Musings, Mysticism, Oldest Daughter & Redheaded Sister, Photography, Poetry, Power, Strength. Bookmark the permalink. Lovely, Audrey, especially your last two lines. Lots of emotion contained therein. I’m trying to picture the man who sat in this chair, though — might he have been a redhead, too?? Thanks, Debbie. Those last two lines…the hook…are whag set the stage for this poem. Glad you liked them. 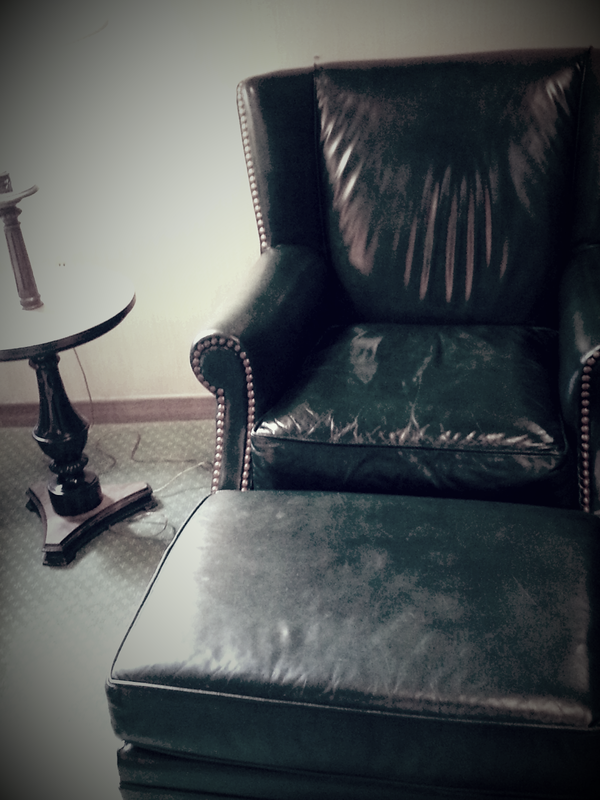 No redheaded men in this chair that I am aware of…but a strong leader should find respite here, I think. *gulps* This one is awesome! And the chair is great. Do you think in there? But…who’s running? Thank you, Duke. I’ve never thought in that chair, actually. Running is an option. Tis all. Hmm…I think that’s a chair someone might think about dastardly deeds in, if you know what I mean. Or a chair just waiting for an incredible leader to sit and think a while, as sit at their feet and read poetry. I think it is a nice chair, Duke. I bet you could think of professorish dastardly deeds there. I think I’d smoke my pipe first. Then call Achilles, while sitting in that chair. Sure! If you’d want to. But you’d have to scream at Achilles for a bit. Make him sweat. No, I’d talk sweet and then hand the phone to you. You must do the dirty work. Hmm…but Achilles tried to kill Hector. True…which is why you should yell at him. Redhead are my favorite. They are filled with fire and know everything. I enjoyed the poem. I like those non-fiction poems. I’m just a good guesser. I always enjoys your poetry and tale.